World Sidecar Championship: Third 2011; Other Appearances: 2006, 2007., 2017. Oceania Championship: Appearances 2013/14, 2014/15, 2016/17, Best Other Results: Third Mildura 2014/15, Undera 16/7. 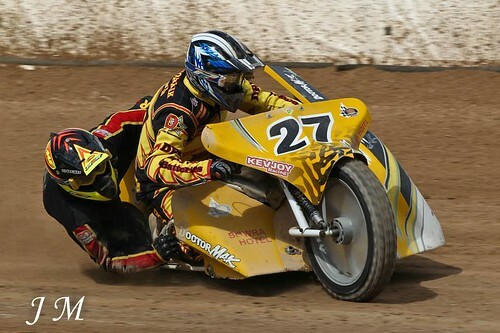 Australian Sidecar Speedway Championship: Second 2011/12, Third 2007/08, 2013/14. New South Wales Sidecar Speedway Champion: 2002/03, 2013/14.